Bees, wasps, yellow jackets and hornets are for the most part a beneficial group of insects. They are the major pollinators of flowering plants including vegetable plants. Since they are beneficial, control should only be done where there is immediate threat to people and pets. One of the most common stinging insects is the yellow jacket, which build nests on tress and buildings as well as in the ground. Yellow jackets can sting several times, although they not normally aggressive unless their nest is threatened. Wasps however, are known for their unprovoked aggression. 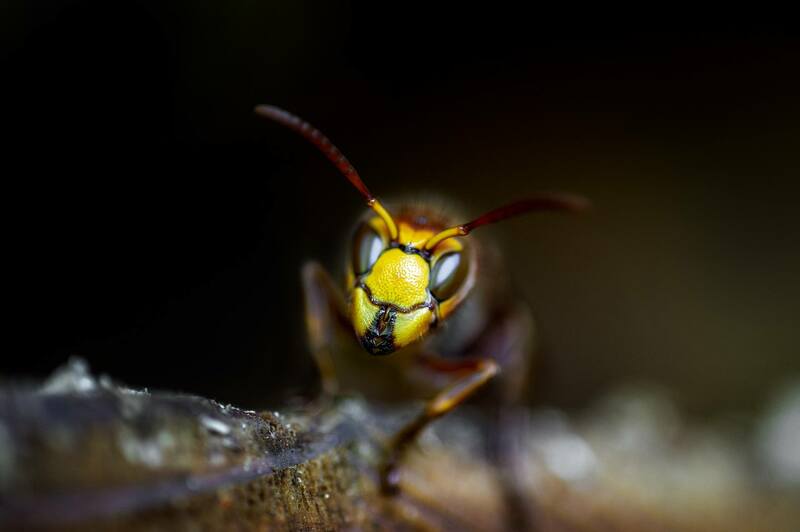 They commonly nest on ceiling beams in attics, garages and Africanized killer bees are often confused with honeybees, but their venom is more dangerous and the species is known for attacking in large numbers if their nest is threatened. They can nest in strange places such as tires and empty cars. Call a pest professional if you find a nest on your property or suspect an infestation.